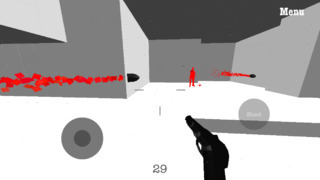 Supershot is a first person shooter where you take control of the time. Unless you move the action takes place in super slow motion. You can actually watch projectiles in air but once you start walking time goes by faster. With these capabilities you can avoid bullets shooting at you.